Japan often calls itself a shimaguni, or an island country. This is not only due to its physical landscape but it also incorporates the notion of the nation being culturally and ethnically homogeneous. Moreover, Japaneseness, including the ability to read between the lines, is an attribute innate to Japanese people. These may be some of the reasons why Japan has developed in such a unique way over the years. Yet, in the ever-intertwining world we live in, Japanese higher education institutions may need to reconsider changing some of their ways, such as their requirement of having a certain level of Japanese language proficiency and rigid admissions process, in order to become more welcoming of international students and globally competitive. To further enhance our attractiveness on the world stage, Waseda University has been implementing bold reforms for internationalization. The School of International Liberal Studies became the first at Waseda University to offer an undergraduate program to be completed entirely in English in 2004. Such English-based degree programs have now expanded to seven undergraduate and 14 graduate schools, including the Global Studies in Japanese Cultures Program (JCulP) at the School of Culture, Media, and Society and the Transnational and Interdisciplinary Studies in Social Innovation Program (TAISI Program) at the School of Social Sciences. Aligning with overseas higher education institutions, the September admissions of these programs have allowed the university to open its doors to exceptional and highly motivated students from all corners of the world. As a result, the number of international students, who come from 120 countries and regions, has exceeded a total of 7,000 in the 2017 academic year. “Waseda University is as diverse as a Japanese university can get,” said Francis Therese Calalang, a fourth-year student who is majoring in economics and is enrolled in the English-based degree program at the School of Political Science and Economics (EDESSA Program). Courses in the EDESSA Program are taught by faculty who hold Ph.D.s from prestigious universities such as Stanford, and the program aims to produce graduates taking on leadership roles in international society. In her case, Calalang has also taken advantage of Waseda’s convenient location in Tokyo, a metropolis abundant in opportunities. She felt that being here would allow her to network, both socially and for career purposes. To highlight her experience, she was a part of TEDxWasedaU, first as a student speaker for their 2016 event, then later a team member. In terms of internships, Calalang first started at a virtual reality startup, and then joined IBM Japan as a marketing and communications and human resources intern. This summer, she joined a team of Switzerland-based financial technology startups as a graphic design and marketing intern to complement her previous experiences and build upon them. As a matter of fact, Calalang landed her current internship because of the skills she gained in a part-time job, which was introduced to her by networking with a designer at an advertising agency whom she met through a friend of hers at Waseda. Being one of the oldest and largest universities in Japan, Waseda’s extensive network of 630,000 alumni working in various fields and positions is a powerful one. Waseda takes great pride in the culturally dynamic and intellectually stimulating community that is being created. 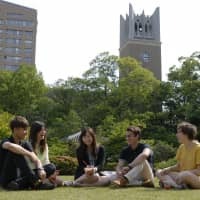 We put energy into helping international students make Waseda their home away from home through efforts such as holding cultural exchange events at the Intercultural Communication Center (ICC), offering one-on-one career counseling at the Career Center, and accommodating students at the Waseda International Student House (WISH). With the inauguration of the 17th university President Aiji Tanaka this coming November, more innovative reforms for internationalization can be expected to come. Internationalization, however, is actually not a new concept at Waseda, for we have always been dedicated to diversity. The university accepted its first international students in 1884, just two years after it was established. Waseda’s founder, Shigenobu Okuma, believed that the inclusiveness of students from all walks of life would enrich educational and social experiences and foster enlightened citizens who are capable of free thinking, as well as taking leadership to transform society. Okuma’s belief of achieving academic excellence through diversity has been inherited and proven to be true. The achievements of our graduates, co-founder of Sony Masaru Ibuka and film director Hirokazu Kore-eda for example, have inspired and have had tremendous global impact. Not only do we celebrate cultural and ethnic diversity, but Waseda is also committed to ensuring the inclusivity of all members of our community regardless of their religious beliefs, socioeconomic status, gender identity and all other characteristics that shape us into who we are. Recently in April 2017, The Gender & Sexuality (GS) Center was established based on a suggestion made by a student interest group. 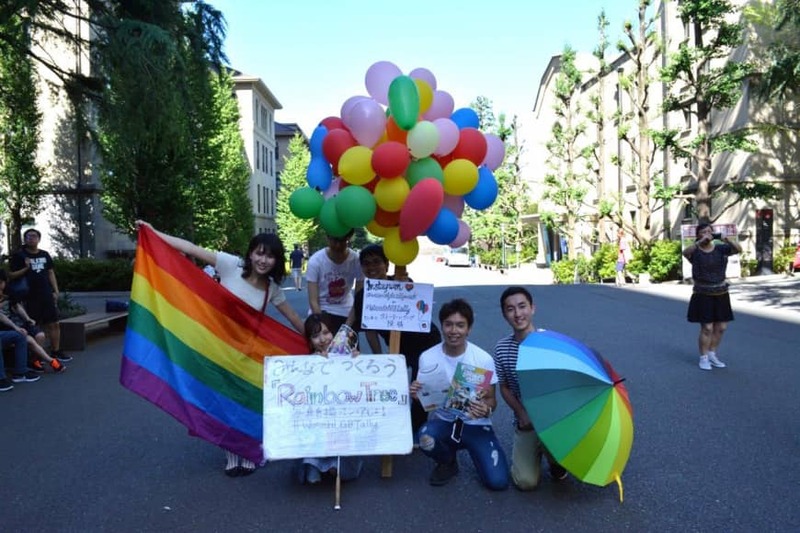 As the first facility of its kind on a Japanese university campus, the GS Center offers consultation and support for LGBT students and their allies in a safe and discreet environment, provides resources on gender and sexuality-related issues, and holds events to raise awareness and deepen understanding. Additionally, the Office for Students with Disabilities offers services that students need to maximize their academic potential. The services of the office include, but are not limited to, lending out devices such as a Braille typewriter and training volunteers who can assist students with disabilities. Placing diversity as a top priority, we will continuously strive to expand and improve our facilities and services. Diversity should become intrinsic to higher education in Japan because the plurality of ideas and perspectives can bring positive change for a brighter, sustainable future in our increasingly complex society, especially given the kind of challenges we face in the current political and social climate. 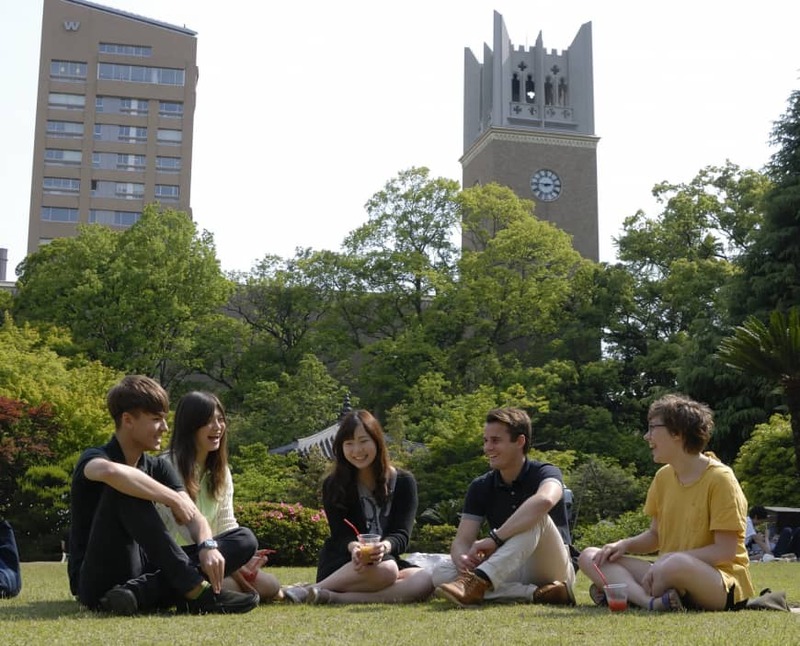 With hopes to produce a rippling effect among Japanese universities, Waseda University promises to lead actions and initiatives for embracing diversity in order to create a healthy and welcoming campus culture of compassion and mutual respect.